A glorious colouring book with details from 15 famous paintings to colour in. 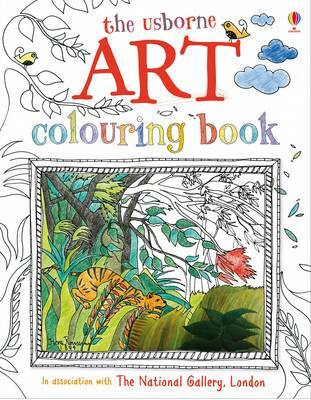 Produced in association with the National Gallery, includes full colour reproductions of each picture and tips for colouring in. There are also two pages of stickers of famous works of art and a sticker gallery to stick them in.